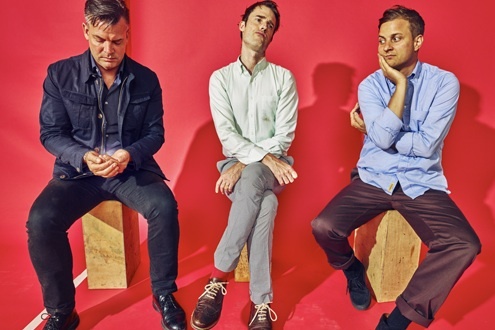 Already confirmed for the 2016 Laneway Festival, Feel are now pleased to announce headline shows for Brooklyn based trio Battles. The idiosyncratic three-piece, featuring drummer John Stainer (The Mark Of Cain / Tomahawk), bassist and sonic manipulator Dave Konopka and multi-instrumentlaist Ian Williams, will bring the noise via new album La Di Da Di for side shows in Sydney and Melbourne. Previous visits have seen the Brooklyn based three-piece land The Big Day Out (twice), sell-out a Sydney Festival Becks Bar performance and appear as guests of the Brian Eno curated Sydney Opera House Luminous Festival. This time, with Laneway occupying the main stage, Battles have opted for limited capacity club shows. Expect the shows to sell out and sell-out quickly. Its Battles. Live. Don’t you dare miss them. Tickets for all shows are on-sale now.